CELTIC FC Foundation are delighted to announce details of the 2019 overseas volunteer trip, which will see the group take part in our first ever trip to Zambia. Through funds raised from our #LionsLegacy campaign, the 67 Kitchens project has seen the building of 47 kitchens throughout Malawi, with the final 20 kitchens constructed in Zambia. This vital work to provide safe cooking and storage facilities within these schools is helping to ensure nutritious meals are being served to over 40,000 hungry children every day, across Malawi and Zambia. Having previously led volunteer groups to Malawi on three separate occasions, 2019 will see us travelling to Zambia for the first time. The party will depart on Tuesday, June 11 (arriving the following day) and return on Saturday, June 22 (arriving the following day). Participants must be aged 18 or over on the day of departure. 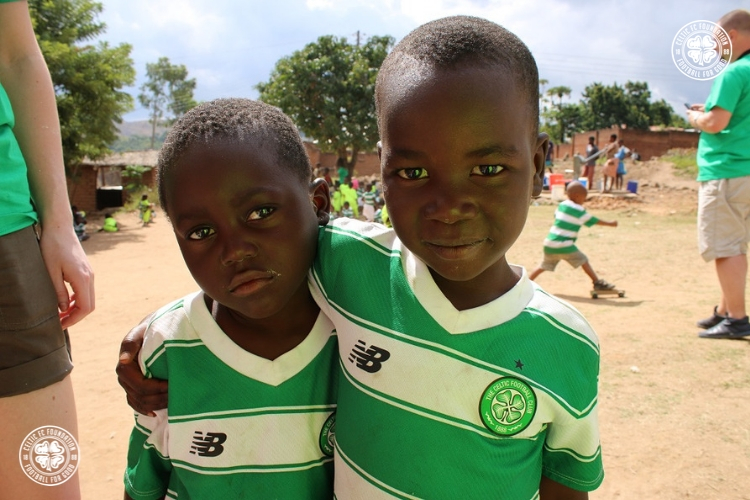 The group will spend 10 days in the Chipata region providing practical support on the ground, through Celtic FC Foundation and the placement will involve the renovation/ improvement of a school identified by Mary’s Meals, who provide life-changing meals to some of the world’s poorest children every school day. Each volunteer will be tasked with raising £1,530 to cover the cost of the trip (with a £250 deposit required to confirm each place) and also a minimum of £1,000 as a charitable contribution to Celtic FC Foundation. This will support the development work the volunteers will undertake in Zambia and also the Foundation’s projects supporting vulnerable children and adults at home. Places on the 2019 trip are limited and these are being offered on a first come, first served basis.